This article examines the religious background of the American Revolution. 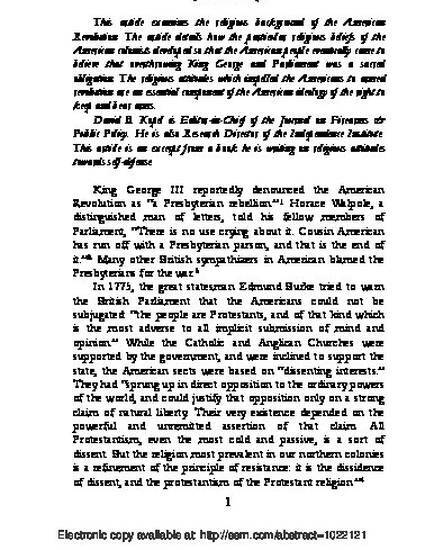 The article details how the particular religious beliefs of the American colonists developed so that the American people eventually came to believe that overthrowing King George and Parliament was a sacred obligation. The religious attitudes which impelled the Americans to armed revolution are an essential component of the American ideology of the right to keep and bear arms.